Posted On November 27, 2013 by Team iCynosure. New Year is all about new beginnings, drizzled with eagerness to put the best foot forward, eat special food, make resolutions and follow every rule in the traditional book to bring in luck - happiness - prosperity and love. Different traditions are followed in different parts of the world to ring in the new year. Eating 12 grapes at the stroke of mid-night, wearing polka dotted outfits, hurling out old electronic items to jumping multiple times on a chair are some crazy superstitions people follow. 2013 has been a tough year for me, juggling multiple roles while being pushed in various directions to fulfill my responsibilities as a CorpComm Manager, Wife, Daughter-in-law, Daughter and a MOTHER. This New Year's Eve I wish to dig the ground, burying everything unpleasant, unearthing new treasures and moving forward to welcome new improved things while doing everything to the best of my abilities. However as superstition goes, one things I'm sure to do is Go for a walk as the clock strikes twelve on New Year's Eve. A traveller by heart I wish this small little task brings MORE fun travel into my life. 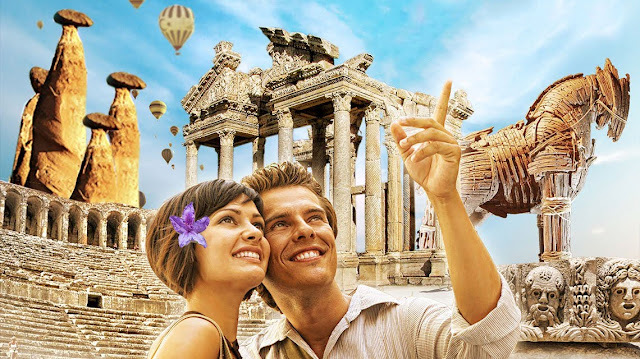 Turkey has been on my travel list since the longest time, an absolute traveller's delight with so much to offer. A place with the most amazing amalgamation of historical richness, beauty of the sun and sand, cultural and traditional heritage, fun and adventure sporting activities and above all an avenue for a romantic getaway. The more I googled about my destination, it seemed more and more perfect for us. Hubby being a sports enthusiast and me being a water baby, Turkey would be the ideal destination to bring in our 7th wedding anniversary with a second honeymoon to rekindle the romance. Stay at a beachfront resort which is like heaven on earth, breathtakingly beautiful with the color cyan. Enjoy a perfect blend between natural gorgeousness and historical heritage sites. Exploring one of the many archaeological sites and do some dare-devil water sports would make my trip to this Virgin land of Lights such a beautiful memory. The Land of Beautiful Horses will be the perfect place to unwind for my handsome husband, a trained jockey. Just the sight of today growing out of yesterday in forms of carved structures within the volcanic rocks will be a treat for people like us who know only about flats and apartment blocks. The time spent in a land as such will be nothing short of a dream that one can only imagine. Would any traveller visit India and not visit the Taj Mahal? No, isn't it? Then I wouldn't dare miss the serene 8th Wonder of the World Mount Nemrut. Along with statues of Greek and Persian gods and King Antiochus's temple are the jewels on the Arsameia street. A sneak peak at the Eagle Head will ensure we have everlasting unforgettable memories for a lifetime. Hailed as the most luxurious and exciting holiday resort of 2014, it is a must-do for our Turkey trip. Lapped in the Mediterranean, Side remains the heart of all things cultural and tradition with its heritage and natural beauty. With gorgeous theater shows, magnificent views and fun adventure water sports Side will offer something for the entire family. 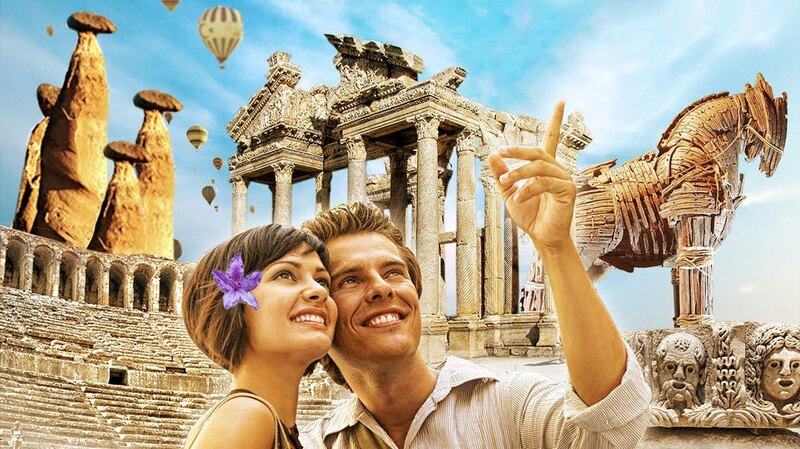 Turkey's cultural and historical heart spread over Asia and Europe is a treasure chest for all travellers. Awarded the title of the European Capital of Culture, Istanbul boasts of the historic centre listed as a UNESCO World Heritage Site, the gorgeous Golden Horn a harbour that has emerged as the new entertainment area and the numerous mosques and museums. Only a faint heart tourist will be enamoured by the Bosphorus separating two continents, over-looking the beauty of each mile of this majestic city. Walking alongside the locals will ensure I feel a nomadic traveller each and every inch of the enormous Turkish Art offered. With world famous malls and bazaars springing up lately, the Mahmutpasha Bazaar - an open market for wonderful and exotic spices, still remains on my list of must visit places. Turkey's Archeological soul rests in its capital city of Ankara. A perfect blend of historical monuments as well as modern structures, the city welcomes all travellers. In all certainty I would love to live in the city to soak up the richness of its history as well as religion, however with time running against there would be the Temple of Augustus and Rome and the Hatti Monument which I'd love to explore beyond the notes in a travel diary. Outlining a plan all by myself, a pleasant surprise for hubby would be a trip to the green wonder of Belek. The Lords for golfers, the city offers the most luxurious and comfortable hotels. The blue horizon outlining the green fields will be a once in a lifetime experience for anyone to see. It will be the space that we need off each other for a day where hubby can immerse himself in the sporting action while I can relax at the hotel enjoying the luxuries offered. I had such a tough time choosing just seven of the numerous destinations. Take a piece of Turkey this new year and trust me it would be a new tradition we begin. What's you're 'IT' destination for the new year?